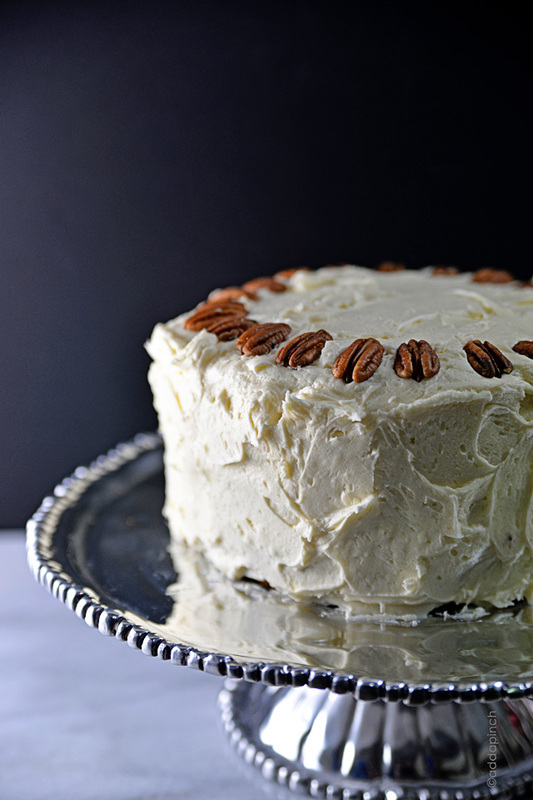 Hummingbird Cake is a classic, Southern cake recipe. Made with bananas, pineapple, and pecans and topped with a cream cheese frosting! 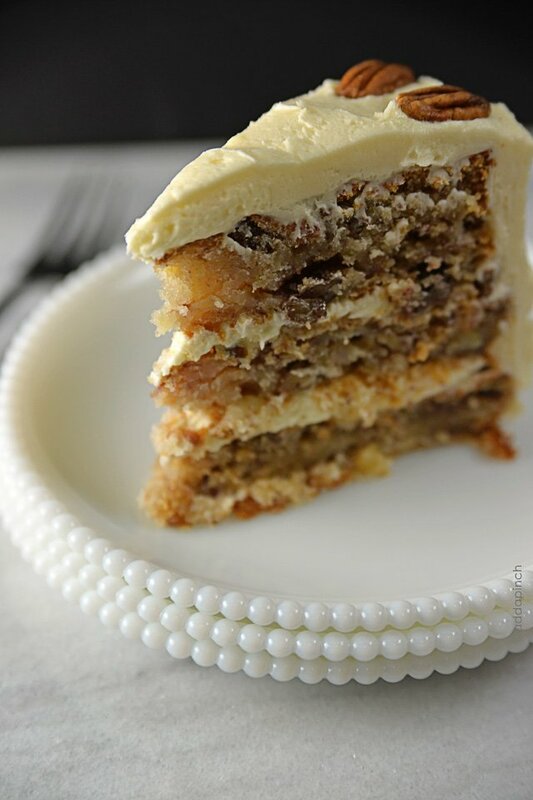 Hummingbird Cake is definitely a favorite cake recipe of my family. My grandmother would make it for special occasions, especially around Valentine’s Day, Easter, Mother’s Day or spring birthdays. It was always front and center at any family gatherings or church socials. 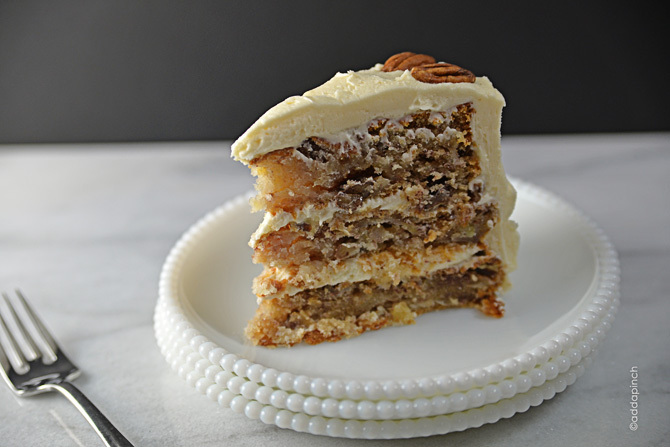 Full of delicious banana, pineapple, and roasted pecans, Hummingbird Cake is one of those cake recipes that is just a Southern classic. As with so many Southern recipes, I’m not certain where the name of this cake originated. 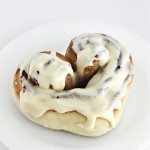 Although it is certainly filled with such sweetness that you can only enjoy just a little bit of it at a time, which again makes it perfect for serving at large gatherings like church socials and potluck dinners. Thankfully though, no birds are harmed in its making or consuming. Although, I do remember my sister-in-law, Karen, making a hummingbird cake a few years ago for my mother-in-law’s birthday. Even though my my youngest nephew, who I believe was about four at the time, helped her make the cake he stood close by to my mother-in-law as she blew out her birthday candles. Then, he ever so gingerly leaned over and advised her to be careful of the birds. I always think of him when I make this cake now and I can’t help but smile. As far as the original maker of hummingbird cake, it was submitted to Southern Living magazine for the February 1978 issue by Mrs. L.H. Wiggins of Greensboro, North Carolina. Even though she provided her lovely recipe, she did not include the story behind it or its name. Some would say that is a loss, but I think Mrs. Wiggins did us all a great favor by allowing our imaginations to conjure up all sorts of stories as sweet as her delicious cake. Be sure to add this cake recipe to your must-make list for your next get together. It is sure to delight as well as quickly disappear. Remember to cut the slices thinly as it is rich and as sweet as southern sweet tea. 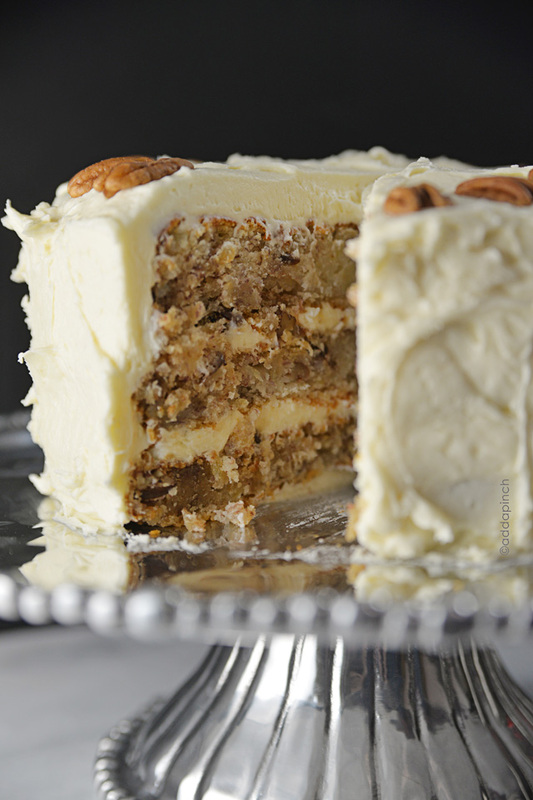 Here’s the Hummingbird Cake recipe my family has used for years. It’s a bit different from Mrs. Wiggins original, but I sure love the changes. Preheat oven to 350º F. Prepare three 9-inch cake pans by spraying with baking spray or buttering and lightly flouring. Whisk together the flour, sugar, baking soda, baking powder, salt, and ground cinnamon in a large bowl. Set aside. Cream together the eggs, oil, vanilla extract, pineapple, mashed bananas, and finely chopped pecans in another large bowl. Stir the egg mixture into the flour mixture until just combined. Evenly divide the batter between the three prepared pans and bake for about 20 to 25 minutes, or until a toothpick or skewer inserted in the center of the cake comes out clean. Remove from the oven and allow to cool for about 10 minutes. Turn cakes onto a wire rack and allow to cool completely before frosting with cream cheese frosting. I’ve made this cake and everyone loved it! I would like to make it when I go to Aspen,Co to visit my son & daughter in law. Do you know what adjustments I would have to make because of the higher elavation? Thanks in advance for any help you can give me. I am so happy you enjoyed the cake! It’s one of our favorites too! I think you will need to make some adjustments for elevation, but I don’t know what they are. There may be information about baking at high elevations online or from other comments that may help. In lg. mixing bowl combine all dry ingredients. Add eggs, bananas, oil, pineapple, water, and vanilla. Beat until combined. Stir in walnuts. Pour into 3 greased and floured, 9 inch round, baking pans. Bake at 350 degrees for 25 to 30 min. or until toothpick inserted near center comes out clean. Cool on rack for 10 min. ; them remove from pans to wire racks. Cool completely. Frost with cream cheese frosting and top with chopped walnuts and toasted coconut. Has anyone made omitting pecans? My daughter has a nut allergy and wonder how it comes out without pecans. Thanks! My daughter cannot have nuts either. The cake is delicious without nuts. Very moist! I make it quiet often. 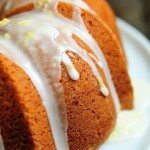 Wonderful and very moist awesome Sunday dinner cake !!! This cake was a success! My family and friends loved it! This is a fab recipe. 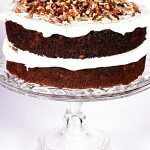 I’m a big fan of your best chocolate cake recipe but had never even heard of Hummingbird cake before coming across this recipe (don’t think it’s well known in Ireland!). 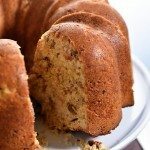 The recipe produces a really moist flavourful sponge though I was a little heavier handed with the pecans and cinnamon as I’m a big fan of both. 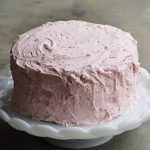 The cream cheese frosting didn’t turn out anything like the photo for this cake though (perhaps I underwhipped the cream cheese as I was afraid of overwhipping it) but I thickened it with more icing sugar and did this as a “Naked” cake -, plenty of frosting on top and between the layers and everyone loved it. Would certainly make it again – thanks for sharing! Looks delicious! My friend is requesting this cake for her birthday this weekend, although she is asking for it to be gluten free. Do you think I can replace the all purpose using the same amount of gluten free? Also, I’ve never made this before. 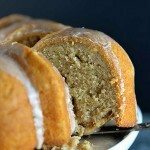 Is the texture different from banana bread? It seems to have a lot of similarities! Made this for my daughter’s birthday. Had no pecans in the house so I substituted walnuts. Reduced the powdered sugar in the icing to 2 cups and added toasted sweetened coconut to the sides. Looks pretty good to me! Waiting to cut into it to taste it, it i can tell it’s going to be good. My cream cheese frosting is always too thin–opposite of yours. Is this from letting it get too soft? Do you think I could make this with a whipped cream frosting? I don’t like cream cheese frosting. I’ve never used whipped cream frosting on this cake, so I don’t know. Not sure how it would work. Thanks! Hi Robyn Ive made this cake a few times and everytime a success. My mum, family and colleagues at office loves it! Hi making this for my family. I do have a question My grandson has an egg allergy and for a chocolate zucchini cake in place of each egg I use 1 Tablespoon white vinegar and 1 teaspoon baking soda. Do u have any idea if this will work? I’ve not tested an egg replacement in my Hummingbird Cake yet, Carol. If you try this with your egg replacement, please let me know how it turns out as I’d love to know. Thanks so much!